Harry N. Abrams, 9780810918689, 32pp. 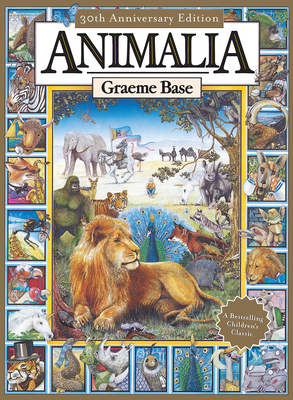 Graeme Base received international acclaim for his smash hit Animalia, which has sold more than three million copies. Among his many other beloved and bestselling books are The Jewel Fish of Karnak, Enigma, The Eleventh Hour, The Water Hole, The Legend of the Golden Snail, and many more. He lives with his family in Melbourne, Australia.